This site from NASA's Goddard Space Flight Center features a geochemical analysis of rocks and soils on the surface of Mars using the rover's Alpha Proton X-Ray Spectrometer. 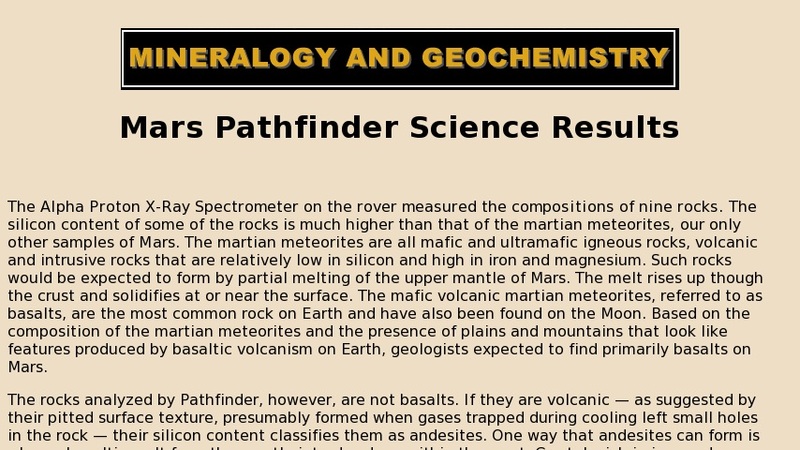 Interestingly, these rocks do not match the composition of the meteorites that have been collected on earth, which are basalts. These rocks appear compositionally to be andesites, and the texture of the "Barnacle Bill" rock suggests it may be a breccia.